Convenient and safe equipment is essential when working at height, allowing the user to focus on the tasks they are performing. 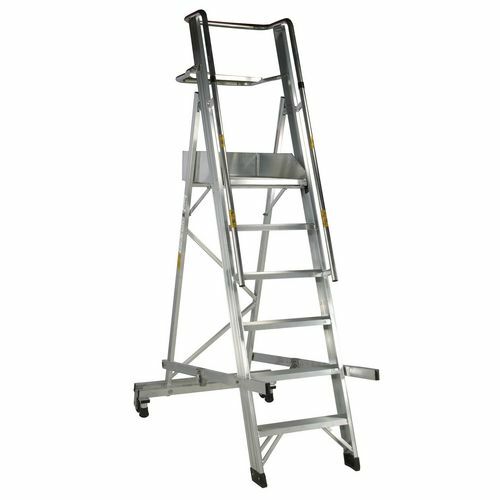 Our foldaway mobile steps provide a stable piece of equipment which can be easily transported and stored when not in use. The steps are extremely lightweight, making them easily manoeuvrable and they offer exceptional stability allowing the user to work confidently. 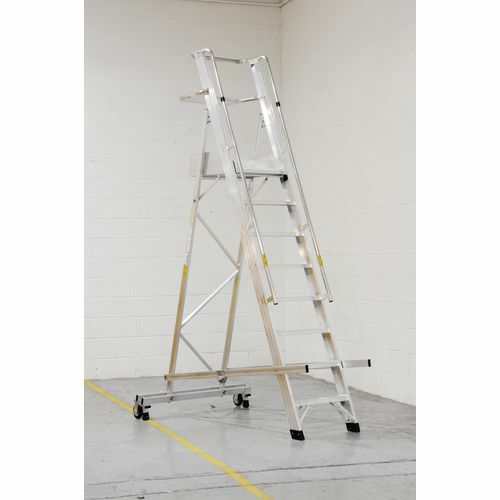 These top quality aluminium ladders have slip resistant steps offering excellent underfoot grip for the user and they are EN131 compliant. There is an aluminium frame with an integral platform; there are also toe plates around the platform and a safety rail to help protect the user. 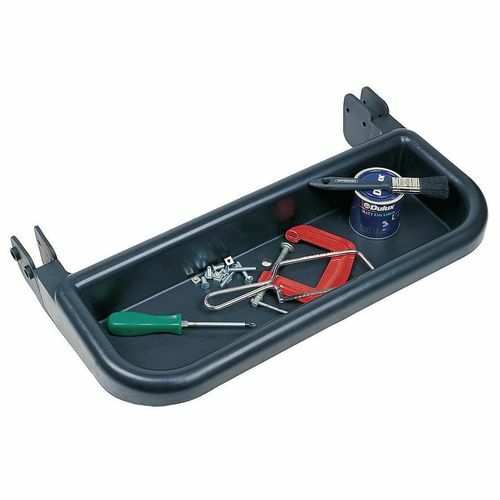 The tool shelf is a great addition for the steps providing more convenience to the user offering a helpful place to keep their equipment nearby. 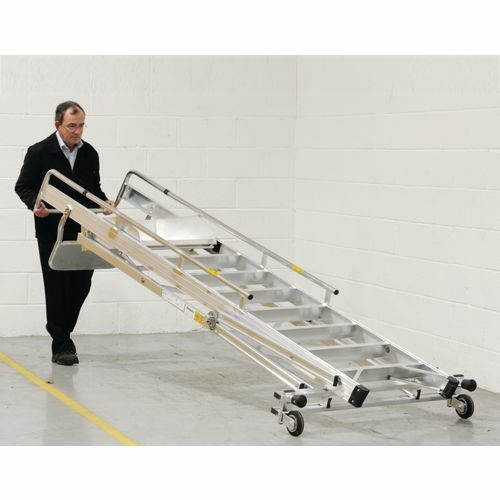 A 150kg capacity makes the steps suitable for use by most individuals with their equipment. 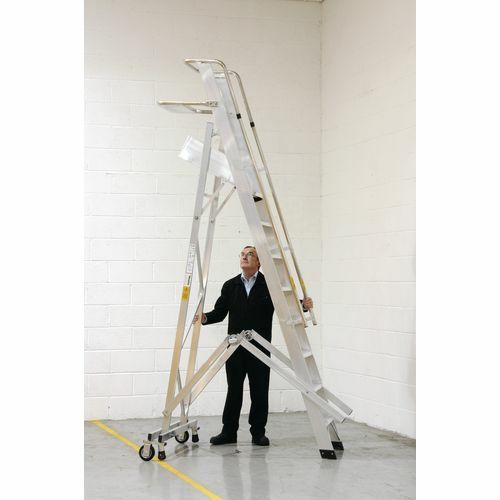 There are six platform heights to choose from; 1070, 1600, 2150, 2650, 3200 or 3500mm. 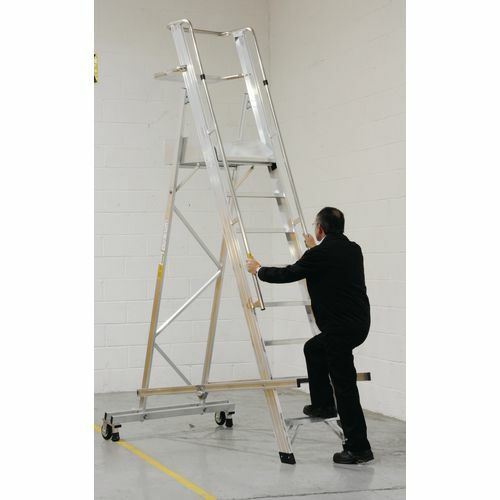 Our foldaway mobiles steps offer stability, safety and convenience when working at height. They come with a 60 month guarantee and FREE UK Delivery.